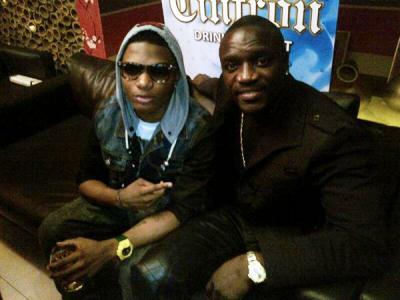 Empire Mates Entertainment has signed a major deal with Akon’s Konvict Music to release and produce Wizkid’s album worldwide. The Banky W led record label yesterday announced that paperwork has been signed and that there is now a confirmed joint partnership between EME and Konvict music. Although Wiz is the first beneficiary of the arrangement, the deal also makes provision for EME to launch any of its follow up acts on the same platform. Previous article Happy Married Life To Tracy Daniels (Golden Girls), She Wedded Her Millionaiare Indian Lover. Next article Will you return the Bentley I bought for you? – D’banj Asks Don Jazzy In An Exclusive Confidential Letter Obtained By Punch Newspaper.